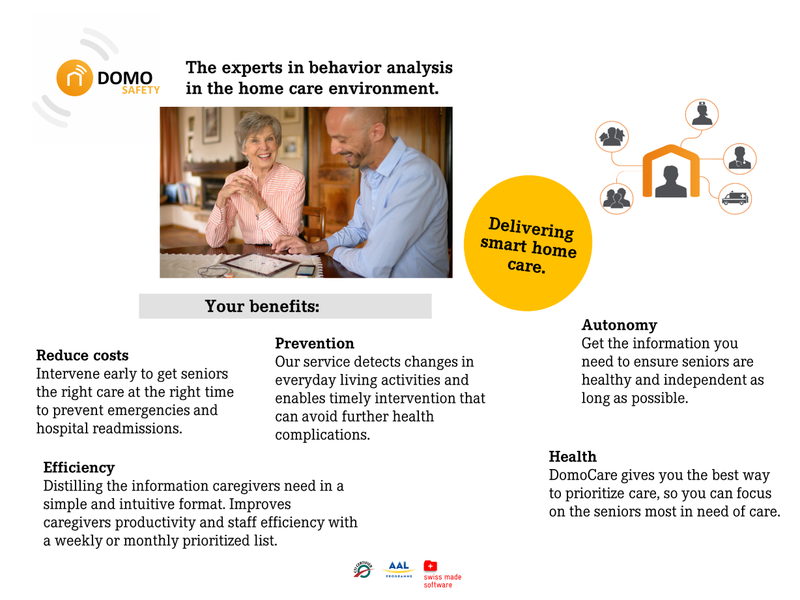 DomoCare® brings value to seniors, family members and nurses. Thanks to our applications, you can access information about your loved ones at a glance. When an alarm message is sent to you, you can access the information preceding the incident. 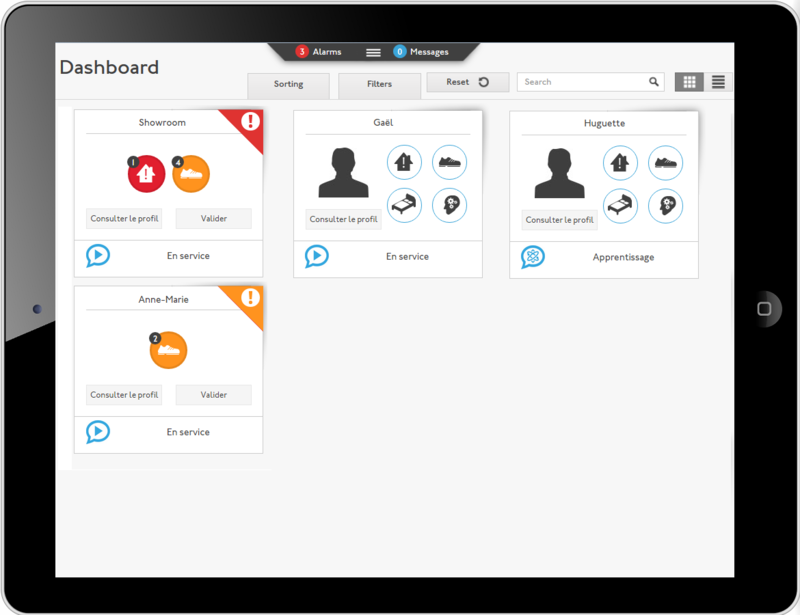 The DomoCare® system enables you to enter and manage the contacts who will receive alarm messages and who will have access to our applications. 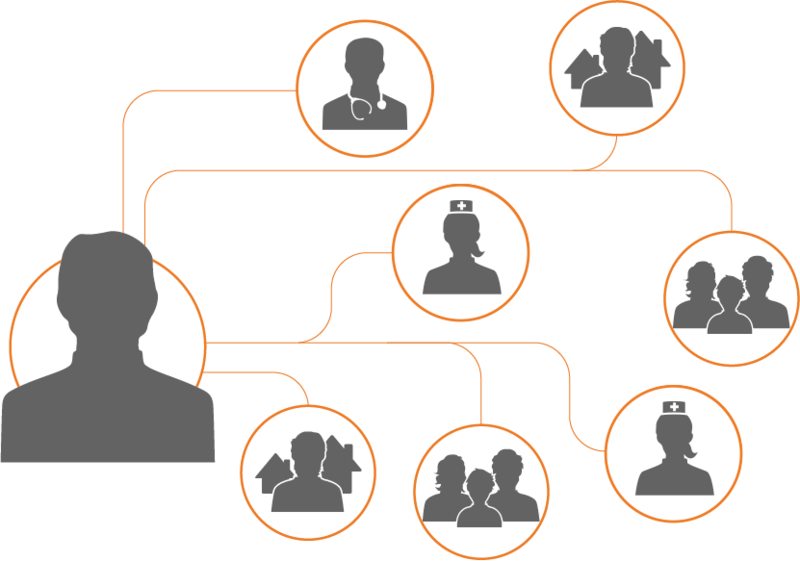 It enables you to organise the contacts according to need, whether they are intervening preventatively or in emergency situations. The contacts may receive alarms by SMS, email or telephone call in a domino effect. The DomoCare® system enables you to access the alarm history and caregivers may use the messaging service to analyse situations and share information useful for the care of the seniors.